The following defines terms and conditions of use (further in this document referred to as an “Agree-ment”), pertinent to your use of webbingindia.com (here-in-after referred as “website”), which pro-motes business between buyers and suppliers worldwide. It is an agreement between you as the user(s) of the website (the “User(s)”) and webbingindia.com (here-in-after referred to as “IIL”). Before you subscribe to and/or to take part in or utilize our website, IIL believes that user(s) have fully ready, understood and accepted the agreement. If you do not agree to or wish to bound by agreement, you may not allow/access or otherwise use the website. Website acts as mere venue/platform of our customers to negotiate/interact for selling, buying and other business services by way of locating companies to trade with, through our on-line exchange. We are not involved in the payment transactions that take place between the buyers and sellers and hence are not a part to any contract for sale negotiated between buyers and sellers. All business deals, agreements and transactions will be responsible of the members only. This agreement shall not be considered to create any partnership, joint venture, or other joint business relationship between IIL and other party. User(s) are referred to any individual or business entity or organization that legally operates their busi-ness in India or in other foreign countries, uses and has the right to use the services provided by IIL. Our services are access only to those individuals or companies who will deal business with legal terms and conditions with proper agreement contracts under the applicable laws. Therefore, user(s) must not be a minor as per the Indian Law, user(s) must be above 18 years of age to eligible to use our services. IIL advises it users mandatory to follow/abide the related Laws while accessing the website. IIL is not responsible for the consequences caused by your behavior during se of website. IIL will handle its commands by sole discretion and refuses the services to anyone at any time. The services are not available to temporary or indefinitely suspended members of website. Our agreement states that it is applicable to all user(s) if user(s) are visitors, registered –free or paid user(s) who access the website for any purpose. It also applies to any legal entity which may be responsible by you under the actual or apparent authority. User(s) use the site solely for their own personal or internal reasons. This agreement applicable to all IIL services offered on the website. Collectively with any additional terms and conditions that may be applicable to the specific service used/accessed by user(s). In the event of a conflict or inconsistency between any provision of the terms and conditions mentioned therein with those of the particular service, the provisions of the terms and conditions applicable to such specific services shall prevail. 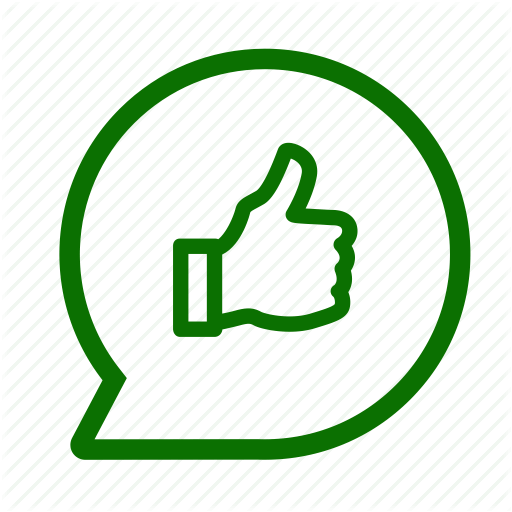 Agreement of IIL may change, modify, amend or updated from time to time without any prior notifica-tion to user(s) and the amended and restated terms and conditions of use shall be effective immediately on posting. You must immediately stop using the services if you do not adhere to the new changes. User(s) continuous use of the service will denote as acceptance of the changes. IIL is the sole owner or lawful licensee of all the rights to the website and its content. Website content referrers for its design, layout, text, image, graphics, sound, video etc. the web site content embody trade secrets and intellectual property rights protected under worldwide copy rights and other laws. All title, ownership and intellectual property rights in the website and its content shall remain with webbingindia.com, its affiliates or licensor’s of webbingindia.com content, as the case may be. All right’s, not otherwise claimed under this agreement or by webbingindia.com, are hereby reserved. The information available in this website is intended, solely to provide general information for the per-sonal use of the reader, who accepts full responsibility for its use. IIL does not represent or endorse the accuracy reliability of any information, or advertisement (collective, the “content”) available on, distributed through, or linked, or linked, downloaded or accessed for many of the services contained on this website, or the quality of any products, information or other materials displayed, or obtained by your as a result of an advertisement or any other information or offer in or in connection with the service. We accept no responsibility for any errors/mistakes or deletions, or for the results obtained from the use of this information. All information in this website is provided “as is” with no guarantee of com-pleteness, accuracy, timeliness or of the results obtained from the use of this information, and with warranty of any kind, express or implied, included, but not limited to warranties of performance, merchantability and fitness for a particular reason. Nothing herein shall to any extent substitute for the independent investigations and the sound technical and business judgment of the user(s). In no event shall IIL be liable for any direct, indirect, incidental, punitive, or consequential damages of any kind whatsoever with respect to the service, the materials and the products. User(s) of this site must hereby acknowledge that any reliance upon any content shall be at their sole risk. The information presented here has been compiled from publicly aired and published sources. IIL re-spects these sources and is in no way trying to infringe on the respective copyrights or businesses of these entities. IIL reserves the right, in its sole discretion and without any obligation, to make improve-ments to, or correct any error or omissions in any portion of the service or the materials. All content on this website is the copyright of IIL except the third party content and link to third party website on our website. IIL is not an expert in your intellectual property rights, and we cannot verify that the users of our online marketplace - who post literally tens of thousands of trade leads for items on the website each day - have the right to sell the goods offered. We will appreciate your assistance in identifying listings which might not appear on their face to infringe your rights but which you believe are infringing. IIL is also not an arbiter or judge of disputes about intellectual property rights. By taking down a listing, as a prudential matter, IIL is not endorsing a claim of infringement. Neither, in those instances in which IIL declines to take down a listing, is IIL determining that the listing is not infringing, nor is IIL endorsing the sale of goods in such cases. IIL respects the intellectual property rights of others, and we expect our user(s) to do the same. We believes that user(s) agree that they will not copy, download & reproduce any information, text, images, video clips, directories, files, databases or listings available on or through the website (the "IIL content") for the purpose of re-selling or re-distributing, mass mailing (via email, wireless text messages, physical mail or otherwise), operating a business competing with IIL, or otherwise commercially exploiting the IIL content. Systematic retrieval of IIL content to create or compile, directly or indirectly, a collection, compilation, database or directory (whether through robots, spiders, automatic devices or manual processes) without written permission from IIL is prohibited. In addition, use of the content for any purpose not expressly permitted in this Agreement is prohibited and may invite legal action. As a condition of your access to and use of IIL's services, you agree that you will not use the web site service to infringe the intellectual property rights of others in any way. IIL reserves the right to terminate the account of a user(s) upon any infringement of the rights of others in conjunction with use of the IIL service, or if IIL believes that user(s) conduct is harmful to the interests of IIL, its affiliates, or other users, or for any other reason in IIL's sole discretion, with or without cause. URL's/Sub-Domain Names assigned by IIL to its users (which includes both paid and free) is the exclusive property of IIL and it cannot be assumed to be permanent in any case. IIL reserves the right, without prior notice, at any point of time, to suspend or terminate or restrict access to or edit the URL's/Sub domain names. IN SUCH CASE, IIL WILL NOT BE LIABLE TO ANY PARTY FOR ANY DIRECT, INDIRECT, SPECIAL OR OTHER CONSEQUENTIAL DAMAGES, INCLUDING, WITHOUT LIMITATION, ANY LOST PROFITS, BUSINESS INTERRUPTION OR OTHERWISE. Links to third party sites are provided by web site as a convenience to user(s) and IIL has not have any control over such sites i.e content and resources provided by them. IIL may allow user(s) access to content, products or services offered by third parties through hyper links (in the form of word link, banners, channels or otherwise) to such Third Party's web site. You are cautioned to read such sites' terms and conditions and/or privacy policies before using such sites in order to be aware of the terms and conditions of your use of such sites. 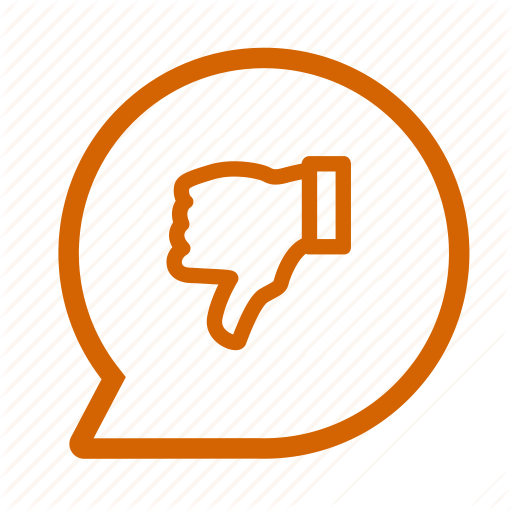 IIL believes that user(s) acknowledge that IIL has no control over such third party's site, does not monitor such sites, and IIL shall not be responsible or liable to anyone for such third party site, or any content, products or ser-vices made available on such a site. Most content and some of the features on the web site are made available to visitors free of charge. However, IIL reserves the right to terminate access to certain areas or features of the web site (to paying or registered users) at any time for any reason, with or without notice. IIL also reserves the universal right to deny access to particular users to any/all of its services/content without any prior no-tice/explanation in order to protect the interests of IIL and/or other visitors to the web site. IIL reserves the right to limit, deny or create different access to the web site and its features with respect to different user(s), or to change any of the features or introduce new features without prior notice. (a) If it concludes that the user(s) have provided any false information in connection with the member account to IIL, or are engaged in fraudulent or illegal activities. (b) The user(s) breach any provisions of the terms and conditions of use agreement and/or Agreement of web site. (c) Utilize web site to send spam messages or repeatedly publish the same product information. (d) Post any material to members that are not related to international trade or business cooperation. (f) Any unauthorized access, use, modification, or control of the web site data base, network or related services. (g) Obtain by any means web site member's user name and/or password. If IIL terminates user(s) membership, user(s) will not have the right to re-enroll or join IIL under a new account or name unless formally invited to do so by IIL. In any case of termination, no membership charges will be refunded. User(s) acknowledge that inability to use the web site wholly or partially for whatever reason may have adverse effect on its business. User(s) hereby agree that in no event shall the web site be liable to the user(s) or any third parties for any inability to use the web site (whether due to disruption, limited access, changes to or termination of any features on the web site or otherwise), any delays, errors or omissions with respect to any communication or transmission, or any damage (direct, indirect, consequential or otherwise) arising from the use of or inability to use the web site or any of its features. User(s) can become a Registered User(s) by filling an on-line registration form on the web site by giving desired information (name, contact information, details of its business, etc.). IIL will establish an account ("Account") for the user(s) upon registration and assign a user alias ("User ID") and password ("Password") for log-in access to your Account. 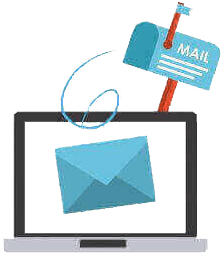 Web site may or may not assign user(s) upon registration a web-based email/message account with limited storage space to send or receive email/messages. Users will be responsible for the content of all the messages communicated through the Email Account, as well as the consequences of any such message. If you register on behalf of a business entity, you represent that business entity and (a) you have the authority to bind the entity to terms and condition of use and/or this Agreement; (b) the address you use when registering is the principal place of business of such business entity; and (c) all other information submitted to IIL during the registration process is true, accurate, current and complete. For purposes of this provision, a branch or representative office will not be considered a separate entity and its principal place of business will be deemed to be that of its head office. By becoming a Registered User, you consent to the inclusion of your personal data in our on-line data-base and authorize IIL to share such information with other user(s). IIL may refuse registration and deny the membership and associated User ID and Password to any user for whatever reason. Web site may suspend or terminate a registered membership at any time without any prior notification in interest of IIL or general interest of its visitors/other members without giving any reason thereof. Registered User are not a part or affiliate of IIL in any way. Despite my and organization's contact number(s) are on Do Not Call Registry, I consent to be contacted by webbingindia.com ("IIL") through phone calls, SMS notifications or any other means of communica-tion, in respect to the services provided by IIL. Some of the content displayed on the website is provided or posted by third parties. User(s) can post their content on some of the sections/services of the web site using the self-help submit and edit tools provided at the respective section. User(s) may need to register and/or pay for some of these services. IIL provides an on-line platform for exchanging information between buyers and suppliers of products and services. Web site does not represent the seller or the buyer in specific transactions and does not charge any commission for enabling any transaction. Web site does not control and is not liable to or responsible for the quality, safety, lawfulness or availability of the products or services offered for sale on the web site or the ability of the suppliers to complete a sale or the ability of buyers to complete a purchase. User(s) are cautioned that there may be risks of dealing with foreign nationals or people acting under false pretenses. Web site uses several techniques (such as TrustSEAL) to verify the accuracy and authenticity of the information our user(s) provide us. However, since it is not possible in all cases and is not 100% fool-proof, IIL cannot and does not confirm each user(s) purported identity (including, without limitation, TrustSEAL Members). IIL encourages user(s) to use various tools available on the web site and otherwise, as well as common sense, to evaluate the user(s) with whom they would like to deal with. User(s) agree that IIL shall not be liable or responsible for any damages, liabilities, costs, harms, incon-veniences, business disruptions or expenditures of any kind that may occur/arise as a result of or in connection with any Transaction Risks. User(s) are solely responsible for all of the terms and conditions of the transactions conducted on, through or as a result of use of the web site, including, without limitation, terms regarding payment, returns, warranties, shipping, insurance, fees, taxes, title, licenses, fines, permits, handling, transportation and storage. In the event of a dispute with any party to a transaction, user(s) agrees to release and indemnify IIL (and our agents, affiliates, directors, officers and employees) from all claims, demands, actions, proceedings, costs, expenses and damages (including without limitation any actual, special, incidental or consequential damages) arising out of or in connection with such transaction. User(s) may use the content/features on web site solely for their personal or internal purposes. User(s) agree that they will not use IIL database and/or services to send junk mail, chain letters or spamming or the transmission of any unlawful, harassing, libelous, abusive, threatening, harmful, vulgar, obscene or otherwise objectionable material of any kind or nature. Further, as a Registered User, user(s) will not use the Email Account to publish, distribute, transmit or circulate any unsolicited advertising or promotional information or any content that is obscene, indecent, seditious, offensive, defamatory, threatening, or which incites or results in causing racial hatred, discrimination, menace or breach of confidence. webbingindia.com reserves the right to add/modify/discontinue any of the features offered with a service. User(s) hereby grant an irrevocable, perpetual, worldwide and royalty-free, sub-licensable (through multiple tiers) license to IIL to display and use all information provided by them in accordance with the purposes set forth in agreement and to exercise the copyright, publicity, and database rights you have in such material or information, in any form of media, third party copyrights, trademarks, trade secret rights, patents and other personal or proprietary rights affecting or relating to material or information displayed on the web site, including but not limited to rights of personality and rights of privacy, or af-fecting or relating to products that are offered or displayed on the web site (hereafter referred to as"Third Party Rights"). User(s) hereby represent, warrants and agree that user(s) shall be solely responsible for ensuring that any material or information you post on the web site or provide to web site or authorize the web site to display, does not, and that the products represented thereby do not, violate any Third Party Rights, or is posted with the permission of the owner(s) of such rights. User(s) hereby represent, warrant and agree that they have the right to manufacture, offer, sell, import and distribute the products offered and displayed on the web site, and that such manufacture, offer, sale, importation and/or distribution of those products violates no Third Party Rights. Otherwise create any liability for IIL or its affiliates. IIL reserves the right in its sole discretion to remove any material/content/photos/offers displayed on the web site which it reasonably believes is unlawful, could subject IIL to liability, violates the terms and conditions and/or Agreement or is otherwise found inappropriate in IIL's opinion. Web site reserves the right to cooperate fully with governmental authorities, private investigators and/or injured third parties in the investigation of any suspected criminal or civil wrongdoing. Website acts as a content integrator and is not responsible for the information provided by us-er(s) to be displayed on the web site. IIL do not have any role in developing the content. The features and services on the web site are provided on an "as is" and "as available" basis, and web site hereby expressly disclaims any and all warranties, express or implied, including but not limited to any warranties of condition, quality, durability, performance, accuracy, reliability, merchantability or fitness for a particular purpose. All such warranties, representations, conditions, undertakings and terms are hereby excluded. IIL makes no representations or warranties about the validity, accuracy, correctness, reliability, quality, stability, completeness of any information provided on or through the web site. IIL does not represent or warranty that the manufacture, importation, distribution, offer, display, purchase, sale and/or use of products or services offered or displayed on the web site does not violate any third party rights; and IIL makes no representations or warranties of any kind concerning any product or service offered or displayed on the web site. Any material downloaded or otherwise obtained through the web site is done at your sole discretion and risk and you are solely responsible for any damage to your computer system or loss of data that may result from the download of any such material. No advice or information, whether oral or written, obtained by you from web site or through or from the web site shall create any warranty not expressly stated herein. Under no circumstances shall web site be held liable for an delay or failure or disruption of the content or services delivered through the web site resulting directly or indirectly from acts of nature, forces or causes beyond its reasonable control, including without limitation, Internet failures, computer, tele-communications or any other equipment failures, electrical power failures, strikes, labor disputes, riots, insurrections, civil disturbances, shortages of labor or materials, fires, flood, storms, explosions, Acts of God, natural calamities, war, governmental actions, orders of domestic or foreign courts or tribunals or non-performance of third parties. User(s) hereby agree to indemnify and save web site, its affiliates, directors, officers and employees harmless, from any and all losses, claims, liabilities (including legal costs on a full indemnity basis) which may arise from your use of the web site (including but not limited to the display of your information on the web site) or from your breach of any of the terms and conditions of this Agreement. User(s) hereby further agree to indemnify and save web site, its affiliates, directors, officers and employees harmless, from any and all losses, claims, liabilities (including legal costs on a full indemnity basis) which may arise from your breach of any re-presentations and warranties made by you to web site. User(s) hereby further agree to indemnify and save web site, its affiliates, directors, officers and em-ployees harmless, from any and all losses, claims, liabilities (including legal costs on a full indemnity ba-sis) which may arise, directly or indirectly, as a result of any claims asserted by Third Party Rights clai-mants or other third parties relating to products offered or displayed on the web site. User(s) hereby further agree that web site is not responsible and shall have no liability to it, for any material posted by others, including defamatory, offensive or illicit material and that the risk of damages from such material rests entirely with you. Web site reserves the right, at its own expense, to assume the exclusive defense and control of any matter otherwise subject to indemnification by you, in which event you shall cooperate with web site in asserting any available defenses. All notices or demands to or upon web site shall be effective if in writing and shall be duly made when sent to IIL in the following manner: to Webbingindia: flat no-3, 3rd floor, Cyber heights, road no 2, Banjara Hills, Hyderabad, Telangana, India. Headings are for reference purposes only and in no way define, limit, construe or describe the scope or extent of such section.Web site's failure to enforce any right or failure to act with respect to any breach by a User(s) under these terms and conditions will not waive that right nor waives IIL's right to act with respect with subsequent or similar breaches. All calls to Webbingindia are completely confidential. However, your call may be recorded to ensure quality of service. Further, for training purpose and to ensure excellent customer service, calls from Webbingindia may be monitored and recorded. Under Big Buyer banner, Webbingindia (“Webbingindia”) shall develop the MICROSITE for the USER(S) company on its website (i.e. www.webbingindia.com), wherein Webbingindia shall display all the leads of the USER(S) company separately, which would help USER(S) in finding out the RIGHT suppliers in short period of time. USER(S) company ensures that the contents provided to WEBBINGINDIA shall not contain any material which is offensive / derogatory / explicit / perverse to any specific race, gender or class of persons or degrading to public conscience or morals and do not breach any applicable law. WEBBINGINDIA makes no representations or warranties to USER(S) with respect to services provided by under Big Buyer banner. webbingindia hereby disclaims all warranties express and implied, including the implied warranties of merchantability, fitness for a particular purpose, and non-infringement with respect to the services provided by WEBBINGINDIA under the Big Buyer banner. All intellectual property rights in the logos, brands and trademarks of USER (S) Company used in relation to the above mentioned service shall vest with the USER(S) Company only. (A) In no event shall webbingindia be liable to USER(S) Company for any special, exemplary, indirect, incidental, consequential, punitive or for any damages arising out of or in connection with respect to the above mentioned service. Webbingindia.com is a platform that does not facilitates the purchase of pharmaceutical products, in fact, it only advertise and/or showcase the pharmaceutical products posted by the Suppliers listed on the website – www.webbingindia.com. The Buyers and Suppliers assure webbingindia and hereby agree to abide by and be compliant of all the related laws, rules, regulations, notifications or orders issued by the Government of India or any of its Agencies from time to time. webbingindia shall not be responsible for any information/content related to the Medicine(s) and/or Drugs, posted/provided/displayed by the listed Suppliers on our website –www.webbingindia.com, as we are only a medium of advertisement for the Buyers and Suppliers. Suppliers of the Medicines and/or Drugs hereby undertake that they shall solely be responsible and shall bear all the liabilities in respect of selling prescriptive Medicines and/or Drugs mentioned in the Schedules of the Drugs and Cosmetics Act, 1940, without the Certified Practitioner’s Prescription. In the event of breach of such condition, webbingindia shall not be liable and responsible in any manner whatsoever, as webbingindia does not take part in the actual transaction that takes place between the Buyers and Suppliers. User(s) of the website – www.webbingindia.com undertake and agree to INDEMNIFY and hold harmless webbingindia or any of its affiliates, directors, officers, employees or representatives from and against any/all losses, liabilities, damages, claims, costs and expenses (including attorney’s fees and expenses, any third party claims), which webbingindia may incur or suffer as a result of or in connection with any illegal sales of drugs and/or medicines. In compliance with Drug and Cosmetic Act and Rules, we don't display or list the Medicines and/or Drugs mentioned in the Schedule X of the Drugs and Cosmetics Act, 1940. webbingindia does not offer any guarantees or warranties on the medicinal products or services displayed or listed on our website – www.webbingindia.com and is not liable for any transaction between the Buyers & Suppliers as such, including the sale of any medicine(s) restricted and/or banned for sale by the Governmental or any other Regulatory Authorities.